¡Muy Bien! 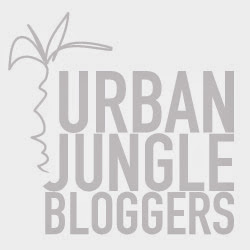 : ¡Urban Jungle Bloggers: Plants & Flowers! ¡Urban Jungle Bloggers: Plants & Flowers! Every week I buy myself new flowers to put on my table. How happy I am when it becomes Autumn and I can buy my favourite yellow - brown chrysanthemums! Combined with my favourite fern (Phlebodium), I had the perfect still life for this months Urban Jungle Bloggers theme: Plants & Flowers. Dear Igor and Judith: this flower is especially for you, to celebrate that you won VT Wonen Meet The Blogger Innovation Award for the Urban Jungle Bloggers! Iedere week koop ik voor mezelf een bos vee bloemen voor op mijn eettafel. Gecombineerd met mijn favoriete varen (Phlebodium), werd deze combinatie het perfecte plaatje voor het Urban Jungle Bloggers thema van deze maand: Plants & Flowers. ¡Sleeping Beauty: Eye Hotel Utrecht! ¡Have a pot of tea! ¡Beautiful Blankets by LisLoves: Cuddle (Aw)some!